This is a Genuine, Authentic, Original B6AC V2 Charger from SkyRC, a leader in reliability and functionality. 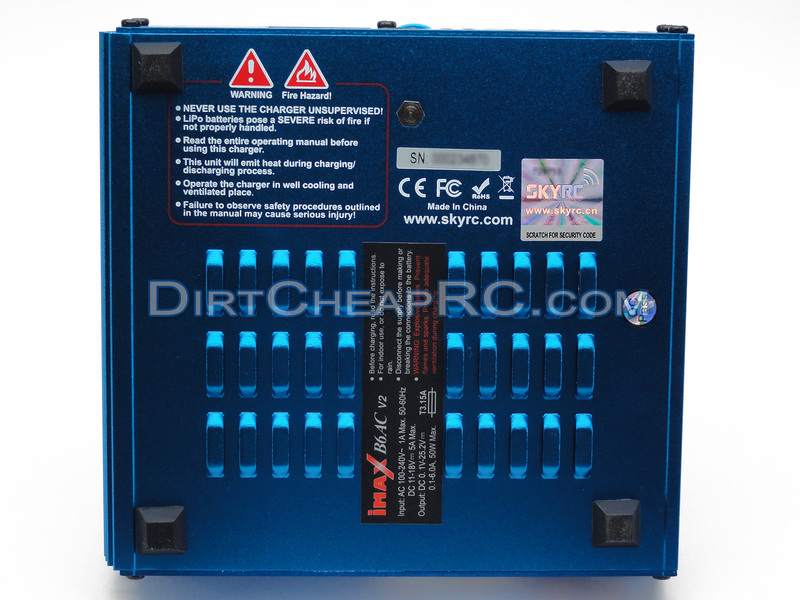 The charger includes the Anti-Fake Holographic Serial Number on the back of the charger. This number can be inputted into SkyRC’s website to prove its authenticity. 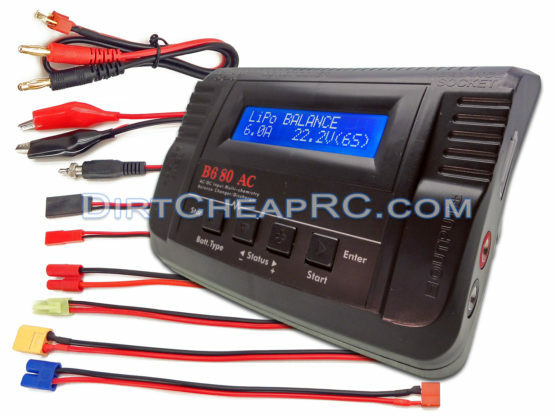 Plug your LiPo/LiIon/ LiFe balance plug into the charger and use the battery meter as a voltage tester to quickly see the voltage readings from each cell. Use this function to measure the resistance in each of your lithium battery’s cells. 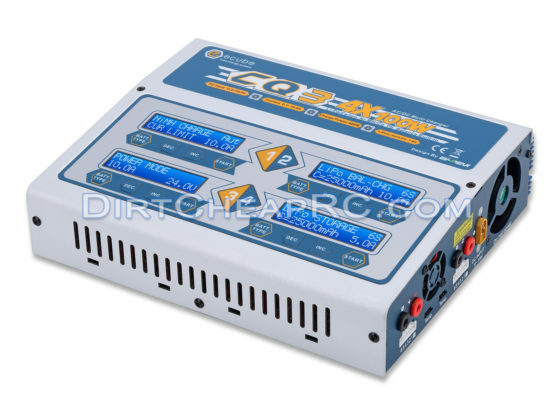 This helps determine the health of your cells, to be sure you are getting the most power out of them. 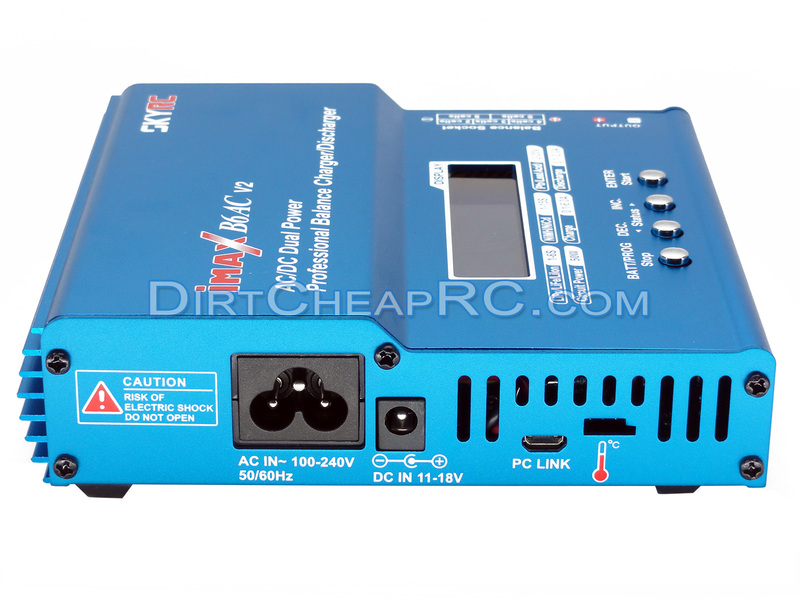 The voltage at which the charger cuts off the charge to each cell can be adjusted. You can monitor pack voltage, cell voltage and other data during the charging process. View charge data in realtime graphs. 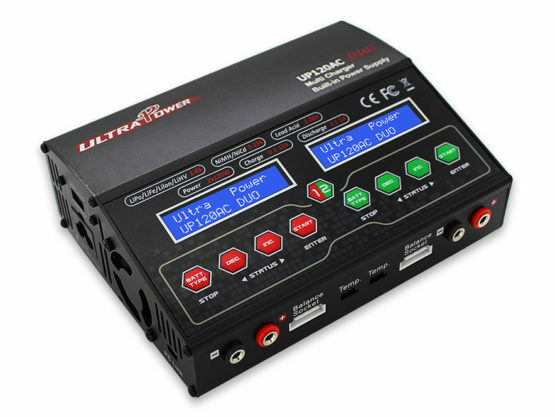 You can also control charging functions and update the firmware on the charger when new updates come out. The software (PC Only) can be downloaded from SKYRC’s website for free. 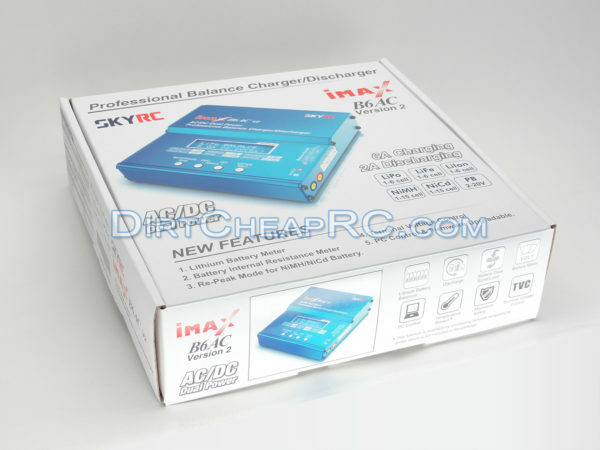 SkyRC offers a great 1 Year warranty on their chargers. This warranty covers manufacturers defects. This warranty does not cover end-user misuse or abuse. In the event of a repair/replacement the customer is responsible for shipping the unit to us in NY, while we will cover the cost of shipping the unit back to the customer. This has been a good charger so far. It is a little harder to learn how to use compared to most of your basic chargers. Once you get the hang of it, it’s a good product! 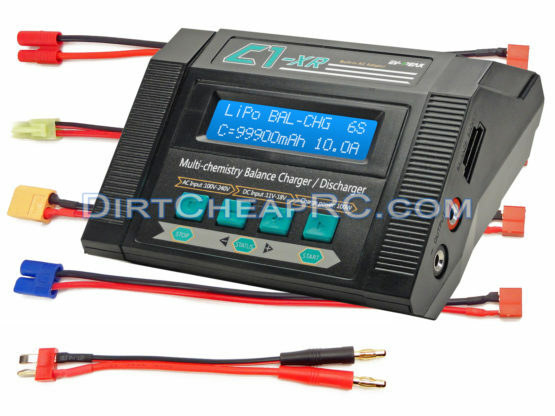 This charger arrived yesterday, which is very quick! I haven’t had a chance to use it yet but everything looks good. I’ll buy from this dealer again. Thanks for the super quick service! This product arrived a day early. I am very happy with the quality of the charger. The balancing charge ports fit all my Blade helicopters. The quality of the adapter cords are first class. I really like being able to control the charger from the front panel of the charger or the software from SKYRC.COM web site. This charger will charge any batteries currently on the market. This product works flawlessly. 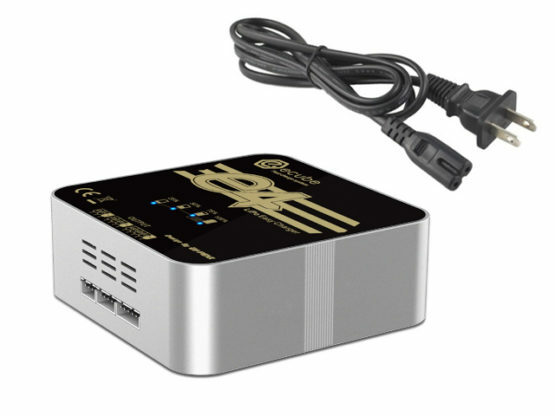 It is the best battery charger I have ever had. 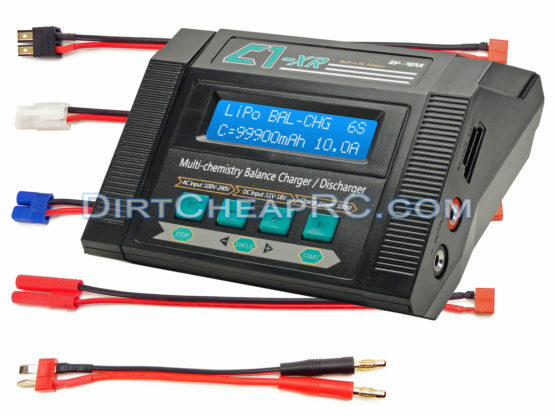 This is probably the best LiPo balance charger out there! 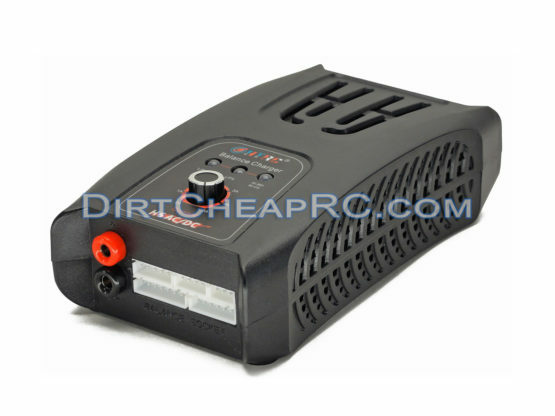 It is easy to use, great instruction manual, plus Dirt Cheap RC gives you a very quick step by step LiPo battery charging instruction sheet. 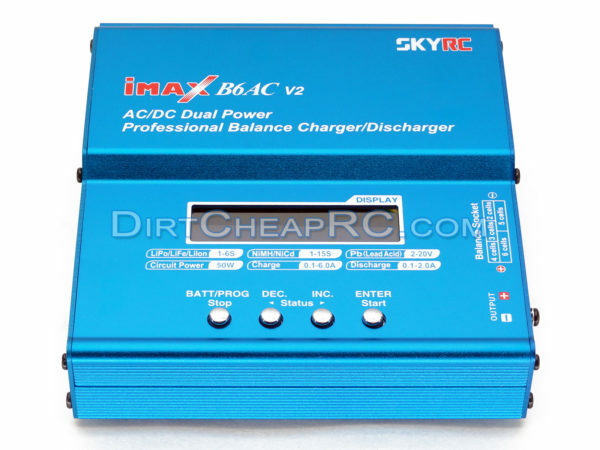 Just be sure to buy the real SKYRC iMAX V2 with the hologram on the bottom of the charger. There are a lot of fakes out there. 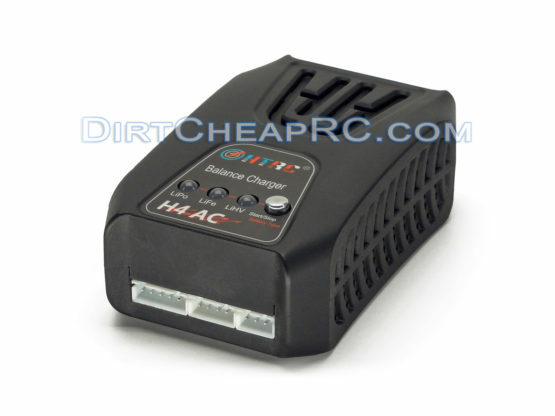 I am happy with both the service and the product. First class service. The product was protected well, so it was received in new condition with no problems. I will do business with this vendor again. Thank you Dirt Cheap RC. I bought this from Dirt Cheap RC and it is indeed genuine. It came with the authentication sticker and passed the authentication check on SKYRC’s website. So far, everything is working great! This is of great price and quality. It is a genuine charger too. 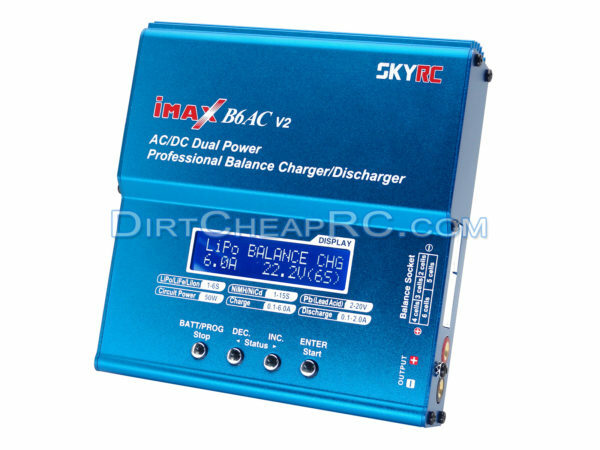 Next to my planes and LiPo batteries, the SKYRC IMAX B6AC V2 is the best charger on the market. It is a great buy in its price range and a value you do not want to overlook! Go buy one! I received very fast delivery, and it was packaged well. I’ve only used it a few times so far, but it seems to work very well. I received quick shipping and great pricing. Thank you! 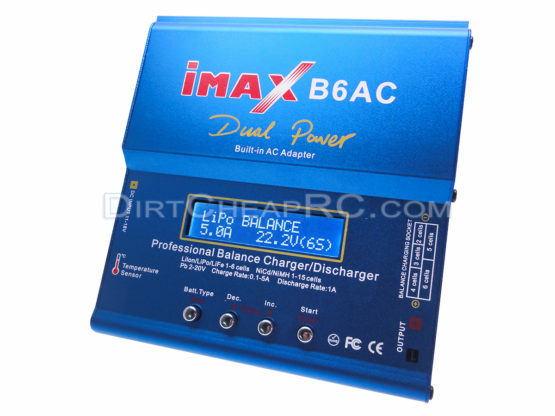 This is an outstanding balancing charger. It works as advertised. 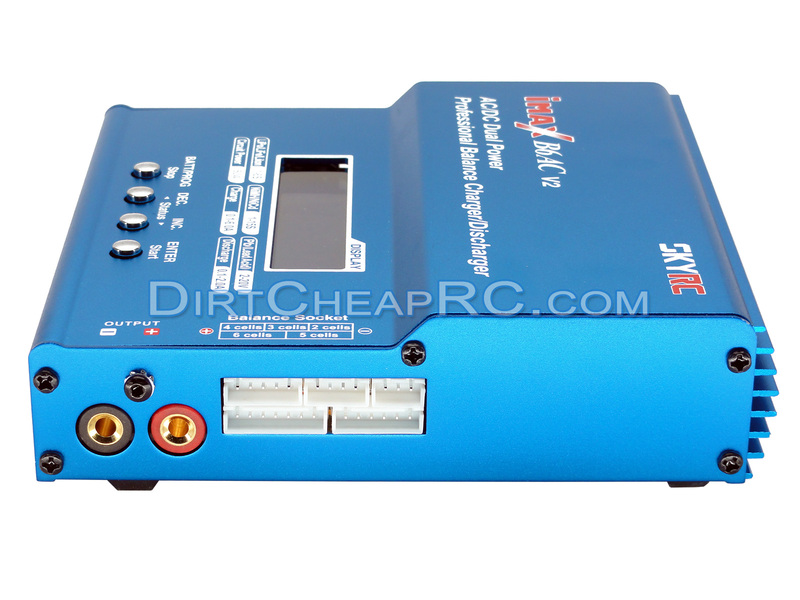 It is has a very user friendly interface and instructions. This is a gigh quality charger. I highly recommend this charger. I have had this charger for a month now ,and it has been used many times. I have had zero problems, so I think it is one of the best. I received fast shipping. The reason for three stars is because I charged my battery once and it worked great but the second time it didn’t work I tried other batteries and still nothing. Besides that, it was a great product and easy to use. Update to 5 Stars: I returned it without any issue and was issued another one. Thank you. Hey, great product. 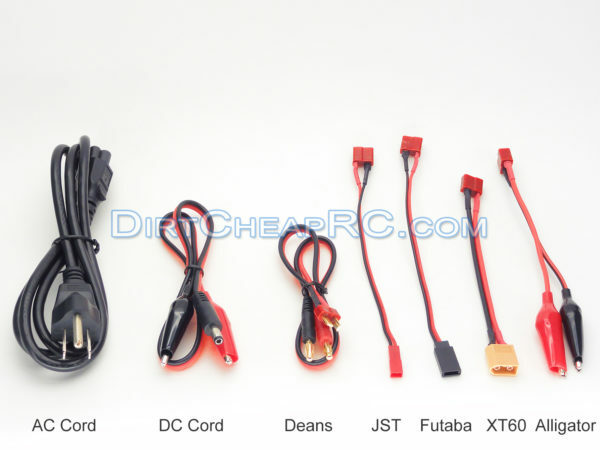 I would like to know where to get some more JST cables with the ends on them provided. I can’t seem to find them. 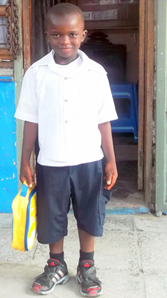 Could you provide a link? Hi Brett, we have these cables for sale on our website. 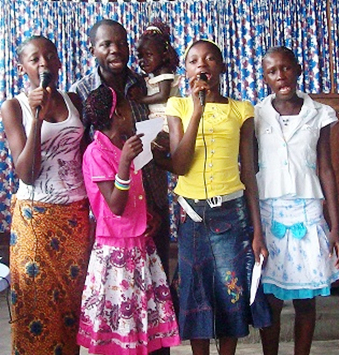 We will reach out to you now by email to send you the links to the products. Thank you. I am very happy with this purchase. The charger is calibrated correctly, and I have had no issues. First, let me say I got this item very quickly. It didn’t take 3 months from China. Secondly, its not a fake copy that has the stickers and all. 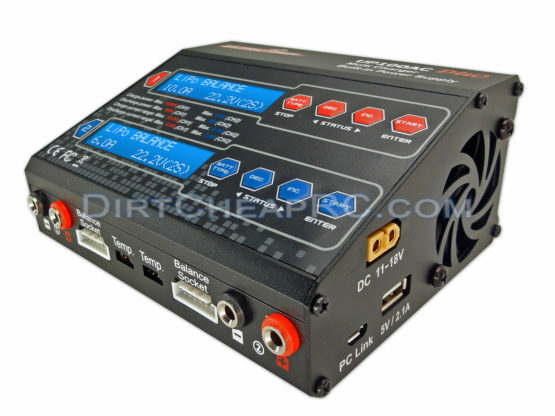 The charger works well and is perfect for most any charging condition. It is easy to use. I will be buying from here again. This is the real deal. It is not a clone and it works perfectly. I would recommend highly. 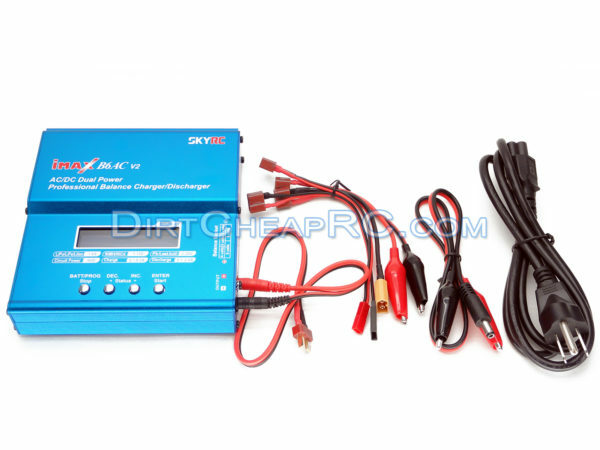 This is a genuine SkyRC charger just like they say it is. Very nice charger by the way. Lets you know how many mah you put into the battery each time it’s charged. Don’t go get one anywhere else, it’s probably a fake from China. 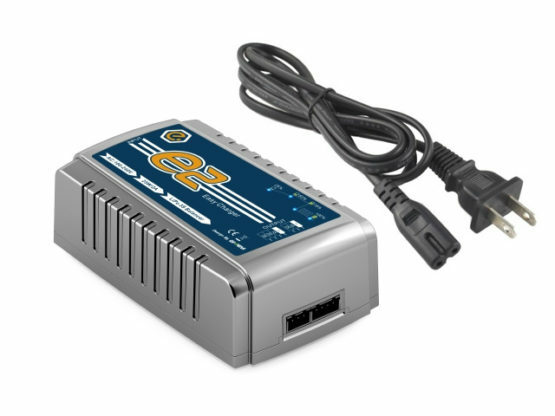 This one can be connected to your computer while charging to monitor all aspects of charging. It’s the real thing (no knock-offs) and delivered fast. This charger seems to work great so far. I received fast shipping. It charges pretty quickly. Thank you! Great product, easy transaction! Received parcel in time! Above & beyond on great service ! Excellent company, will buy from again. Thanks. Great Charger. My husband loves it.